Research-grade resources available to undergraduates. Resources for the physics and astronomy department are located in Neils Science Center, across the Valpo campus, and in Kitts Peak, AZ. Additionally, courses and research teams may travel to prestigious laboratories around the region and the world. 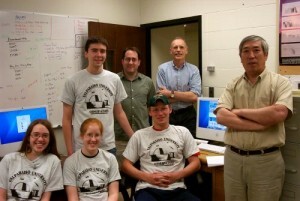 Astronomers at Valpo are able to operate the three telescopes of the SARA Consortium. The telescopes are located at Kitt Peak National Observatory, about 40 miles west of Tucson, Ariz., Cerro Tololo Interamerican Observatory, in the Chilean Andes, and Roque de los Muchachos Observatory in the Canary Islands. The telescopes are run by Southeastern Association for Research in Astronomy (SARA), a university consortium of which Valpo is a member. The SARA telescopes are operated over the Internet from campus. The remote operation capability allows astronomy faculty and students to use the telescopes year-round, even while classes are in session, without causing a major disruption to their schedules. Faculty and students may also take the special opportunity to travel to Kitt Peak and observe on-site. The Valparaiso University observatory houses a 16-inch, computer-controlled reflecting telescope used for undergraduate instruction and research. Data are acquired from a variety of stellar objects using a spectrophotometer and a CCD camera. 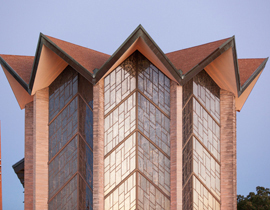 The observatory is located on the southeast corner of the Valparaiso University campus. it has an attached building for analyzing data from the telescope. Additional data analysis is conducted in Neils Science Center. 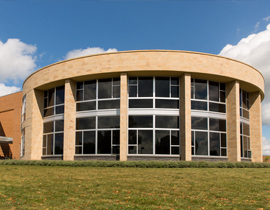 Named after long-time department chair Armin Manning, this facility is entirely devoted to undergraduate instruction and research in nuclear physics. 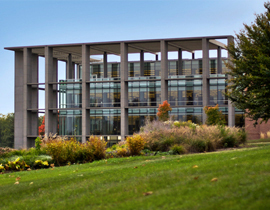 The Manning Laboratory is surrounded by five-foot-thick concrete walls and contains a 300 keV linear particle accelerator and research-grade equipment. 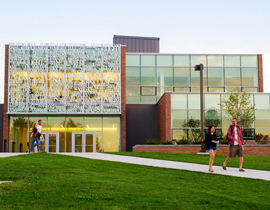 This distinctive laboratory is not a research facility for faculty or graduate students, but a laboratory environment entirely for and used by undergraduate students. This lab is used to create and characterize thin organic films and their interactions with proteins. The lab houses an ellipsometer (Gaerner Scientific, Stokes LSE) that is capable of measuring film thickness on the nanoscale and a plasma cleaner that is used to prepare silicon wafers. There is also space for undergraduate researchers to perform table-top experiments and data analysis. Chemical work is performed in an adjacent room in a chemical fume hood. 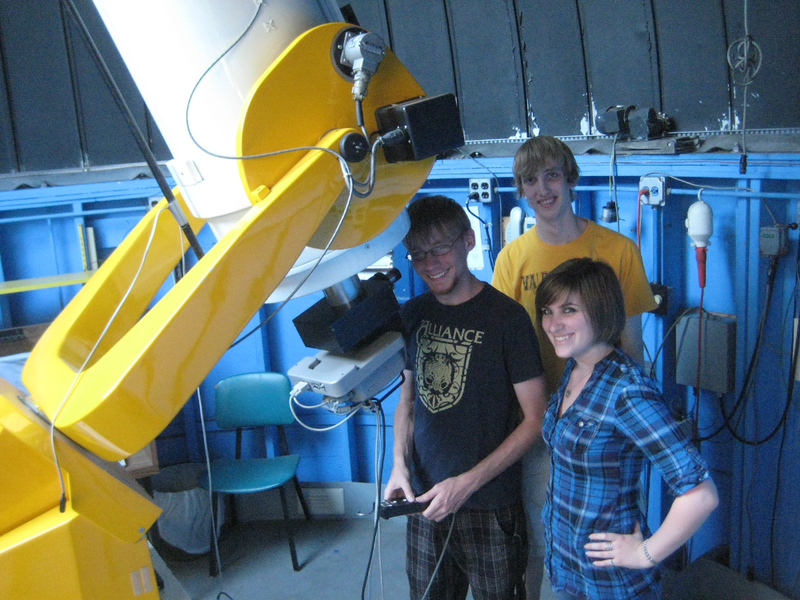 The astronomy research lab provides a location for undergraduate students to analyze astronomical data. The lab contains modern computers equipped with the latest astronomical software and is available to undergraduate students year-round. Experiments conducted during this lab range from air-track collisions to studying the length of sparks from a Van der Graaff generator. The lab assignments are often revised and updated with new procedures and equipment (supplied by internal and external grants, not through lab fees), such as the recent purchase of six electron charge-to-mass ratio measurement devices. This room is equipped with drill presses, a lathe, a “slicer-dicer,” and various other tools used for the preparation of lab equipment for senior theses, demos, and other projects. Students are required to have training and supervision to use the machine shop. A larger machine shop is located in Gellersen Hall, as part of the College of Engineering. The Valpo planetarium seats up to 30 people in a twenty-foot dome and is equipped with a Spitz projector. The planetarium is used with introductory astronomy lab courses and for public outreach events to the wider Valparaiso community.